Notice: All oral slots have been assigned. Now registrations are invited only for Posters and attending delegates. The World Energy and Environment Technology is happy to announce the Biofuels and Bioenergy: International conference and Exhibition, 23-25 February 2016. International conference will be organised in collaboration with Department of Chemical Engineering, MANIT Bhopal, India, institute of national importance. The Conference will provide platform for researchers and specialists across the globe to disseminate and network on the vital research field of biofuels and bio energy. World Biofuel Scenario; Plant-Based Biofuels; Fuel Ethanol: Current Status and Outlook; Bioethanol from Biomass: Production of Ethanol from Molasses; Bioethanol from Starchy Biomass; Bioethanol from Lignocellulosic Biomass; Production of Cellulases and Hemicellulases; Production of Starch Saccharifying Enzymes; Hydrolysis and Fermentation; Biodiesel: Current and Future Perspectives; Biodiesel Production Technologies and Substrates; Lipase-Catalyzed Preparation of Biodiesel; Biodiesel Production with Supercritical Fluid Technologies; Palm Oil Diesel Production and Its Experimental Test on a Diesel Engine; Biodiesel from Rice Bran Oil; Biodiesel Production Using Karanja (Pongamia pinnata) and Jatropha (Jatropha curcas) Seed Oil; Biodiesel Production from Mahua Oil and Its Evaluation in an Engine; Biodiesel Production from Rubber Seed Oil; Thermochemical Conversion of Biomass to Liquids and Gaseous Fuels. Bhopal is the capital of the Indian state of Madhya Pradesh and the administrative headquarters of Bhopal district and Bhopal division. The city was the capital of the former Bhopal State. Bhopal is known as the City of Lakes for its various natural as well as artificial lakes and is also one of the greenest cities in India. Bhopal is the 14th largest city in India and 231 largest city in the world. 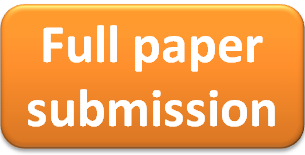 All peer reviewed submissions will be published in peer reviewed proceedings.